I am so excited to share with you what I like to do with my students in the month of December. I usually launch this unit when we return from Thanksgiving break. It can be as long, or as short as you'd like, but I recommend giving it at least a week's worth of Social Studies lessons. For me, 2 weeks is the sweet spot. It's no secret that students are OFF THE CHAIN during the month of December! So over the years I have figured out the best way to harness that energy and turn it into some real, fun learning! Okay, so the overall idea of this unit is to turn your students into entrepreneurs and your classroom into a North Pole workshop! You will teach various social studies concepts and will guide students into developing businesses in teams. Students will earn money from you each day based on their productivity level. On the final day of the unit, all the goods created will be for sale. Students will first have to pay taxes, then will get to shop with their remaining earnings. 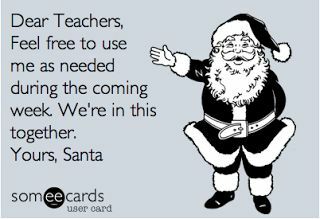 The items created in your classroom will be great gifts students can “buy” to give to their family members for the holidays. I have found that this is such a fun way for students to learn in the month of December. 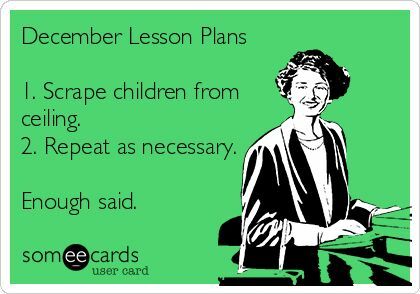 It really helps channel all of that excited energy into some great learning! Plus, students love to be able to go home with gifts for family members. The "businesses" can be any type of holiday craft you like to do in your classroom. I included a lot of ideas, but its really up to you. Some of my students' favorites are always glitter pine cones, paper chains, and candy cane bead ornaments. During Part Three, students will be busy working in their businesses and earning money from you. I always pay students based on how productive they are and how well they work with their group members. There are more directions for this in the unit. In Part Four of this unit, your students will have to pay taxes before they can shop. You will set the prices for the various items and students will get to shop and "buy" presents for their family members using their earnings. If you are doing this with very young students, you can assist them with their shopping. Older students should be able to use subtraction to determine if they have enough money for the different goods. The end of the unit is a great time for you to reflect on how the North Pole Workshop went in your classroom. Every year I make tweaks to it and it gets better and better. I also use this time to assess what my students learned.